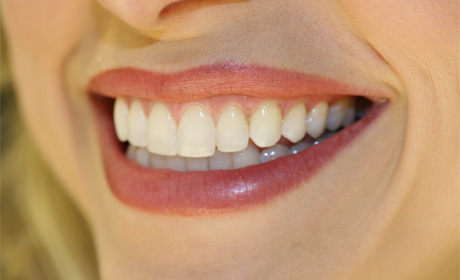 A major cause of tooth loss and hence the requirement of implant treatment is gum disease. Gingivitis is mild gum disease and is reversible, this manifests as bleeding gums on brushing. If left to deteriorate it becomes periodontits which is not reversible. At this stage deep pockets occur around the teeth, and the periodontal ligament, ( the structure supporting the tooth) and alveolar bone are affected. As the disease worsens the teeth become loose and are eventually lost. Conventional treatment includes deep cleaning of the affected sites sometimes requiring surgery, and systemic antibiotics in an attempt to reduce or remove the bacteria that are the cause. It is imperative that all traces of active periodontal disease are removed before the provision of implant treatment. The treatment of periodontal disease requires significant patient compliance and longterm maintenance and at best can only improve any permanent damage to the tooth supporting structures. Gum disease has also been linked to cardiovascular disease and cancer. It has recently been announced that a vaccine to combat the disease is being developed by a collaboration of an Australian pharmaceutical company, CSL Limited and Sanofi Pasteur, one of the world’s leading developers of vaccines. Working with the University of Melbourne, CSL has over the last 10 years been able to identify candidate vaccine antigens for periodontits. The bacterium Porphyromonas gingivalis is the most significant factor in periodontitis, and the new vaccine is able to target this bacterium. Vaccine treatment will enable the disease to be specifically targeted, preventing disease progression, rather than treating the symptoms only. The vaccine is at this stage still under development. This development programme aims to identify the bacterial peptides and proteins that cause the immune response, which are then used as the basis for the vaccines. Presently the vaccine is being tested on mice models which have had periodontal disease produced artificially. However if a positive result is ascertained then clinical trials in humans will commence. Vaccination could lead to the irradication of gum disease worldwide. ← Training the Dental Patient!